We know you work hard, and so we want to help keep you happy and healthy. Our eye doctors can help with early detection, preventing and detecting eye health problems. There’s no better time than now to schedule your annual eye exam, as your vision benefits may have renewed*. Your vision insurance is a wellness benefit designed to provide you routine eye care, prescription eyewear and other vision-related services at a reduced cost. In many cases, you can even use your flexible spending account (FSA) or health savings account (HSA) dollars to purchase prescription eyeglasses, prescription contact lenses, and prescription sunglasses. We want you to receive quality eye care at a price that works for you. Start by scheduling your eye exam online today. We look forward to seeing you. Eye exams are available by Dr. Marie T. Broca located next to or near Sears Optical. During the exam you will be tested for visual acuity and general eye health. The doctor will check for signs of cataracts, glaucoma and other eye diseases. An examination can also reveal other health problems, including diabetes or high blood pressure. 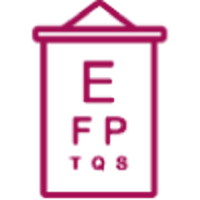 In children, a routine eye exam consists of tests for near and distance vision; peripheral vision; eye/hand coordination; the ability to use both eyes together; and the ability of the eyes to move smoothly across a page and shift quickly and accurately from one object to another - all critical for a child learning to read. What Does An Eye Exam Cost? If you have a question in regards to the cost of your eye exam, the price of contact lens fitting or what your insurance will cover please call us at (702) 878-8433. We will be happy to help answer your questions. Do I need an eye exam to wear contacts? Yes, before you purchase contacts you must have your eyes examined and a contact lens fitting completed by Dr. Marie T. Broca. Some people think an eyeglass prescription can be used for contacts but they are actually different. If you already had an eye exam with a contact lens fitting and your prescription for contacts is valid, call our office to order your contacts today - (702) 878-8433. How does vision change with age?